Traveling to Boston, MA or Surrounding Areas Soon? 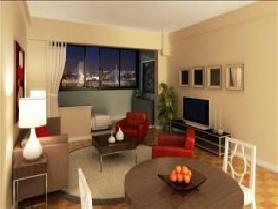 You Simply Must Take a Look at These Exceptionally Beautiful Fully Furnished Rentals! Avalon at Lexington-Fully-Furnished one, two, and three bedroom homes in beautiful Lexington, MA featuring fully equipped kitchens complete with breakfast bars and gas ranges. The airy floor plans include large walk-in closets, private patios or balconies, and generous living areas. The apartments also have washers and dryers or the hookups so that you can do your laundry in the comfort of your own home. The community provides a landscaped BBQ and picnic area with a playground to enjoy time outdoors with family and friends. If you wish to stay or get fit, the community also has a state-of-the-art fitness center, an outdoor heated swimming pool, and indoor half-court volleyball and basketball courts. There is a community club house with a lounge area and a business center. 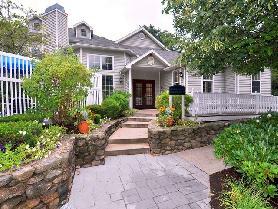 This community is conveniently located to everything you could possibly need in Lexington, MA. To view more photos, information, and maps for this property, please click here. Towers at Longfellow-Fully-Furnished studio, one, two, and three bedroom apartments including penthouses in Boston, MA available now. The community features basketball courts, covered parking, extra storage, fitness center, full concierge services, laundry facility, playground, swimming pool, tennis courts, trails for hiking, biking, and jogging, and it is pet friendly. To view more photos, information, and maps for this property, please click here. If you would like to see all of the gorgeous properties that our Boston office has to offer, please visit our website Boston.AvenueWest.com or you can call us directly at 347-735-9661. ← If Traveling to the Great City of San Francisco Soon Check Out This Gorgeous Furnished Rental! Thanks for About your post it is really very helpful becaouse i want to going boston and i want fully equipped accommodations and much more relaxed for long lasting continues to be than hotels!